Nestled under tall evergreen trees to the west of Portland's West Hills, Multnomah Village is a close-knit southwest Portland community with a strong neighborhood connection, family friendly suburban feel, located just minutes from Portland. Multnomah Village is one of the hippest places to live in Southwest Portland, with all the coffee shops, restaurants, boutiques, and resources of an inner Southeast Portland neighborhood. Because it lies near PCC Sylvania and Lewis & Clark College, the area has a youthful, energetic feel. A local wine bar (Sip D’Vine), a Portland brewpub favorite (Lucky Labrador), and about a dozen other coffee shops and restaurants can be found within the village. Offering the convenience of a reasonable commute along with the laid back, natural environment of a small town with quiet streets, perfect for raising a family or owning a first home. Multnomah Village is filled with fantastic neighborhood resources, from a branch of the Multnomah Country Library, a large, year-round farmers' market, and beautiful parks including Gabriel Park (one of the best fenced-in dog parks in Portland, a great playground, and miles of walking paths and trails), Dewitt Park, and George Himes Park, perfect for a family picnic or a walk with the dog. Wilson High School, one of the best in Portland, is also in the area. Numerous nature trails and environmental preserves create an oasis of green within the city limits of America's favorite green city, Portland, Oregon. One of the older areas of Portland, Multnomah Village features homes in the cool shade of mature trees, established neighborhoods with older homes in a variety of styles, and a comfortable family friendly feel. Homes in Multnomah Village have lush, green lawns and larger lots than other areas of town, giving a taste of rural life within the city. There are plenty of shopping areas in the neighborhood, and great dining and entertainment opportunities. Multnomah Village really is the best of all worlds. The Multnomah Village real estate market features many beautiful homes with well-tended green lawns and large lots shaded under mature trees, with easy access to neighborhood amenities. Multnomah Village features many homes built from about the 1940's through 1980's although a few older and newer homes are mixed in. Typical home styles include broad ranches from the 60's and 70's, some contemporary, and some two-story traditional, "Old Portland" designs. The SW Portland neighborhoods including Multnomah Village have a much different feel from the flat, grid-like east side neighborhoods. Multnomah Village is hilly and has wooden, curvy roads that give each street a private, natural feel. If you are interested in buying or selling a home in Multnomah Village, check out our Portland Real Estate Home Page for more information about the McDonald Group Realtors and visit our Portland Real Estate Map to search for Multnomah Village homes for sale. Multnomah Village/Hillsdale Library (1525 S.W. Sunset Boulevard, Portland, OR 97239) : This newer library building was awarded LEED Gold certification as a "green building" in 2004. A number of design elements contribute to the building's official "green" status, including access to public transit, water and energy efficiency, materials that come from local manufacturers, and high indoor air quality. Hillsdale boasts a large collection of books as well as audio and visual materials, periodicals and electronic resources in English, Spanish, Russian, and many other languages. 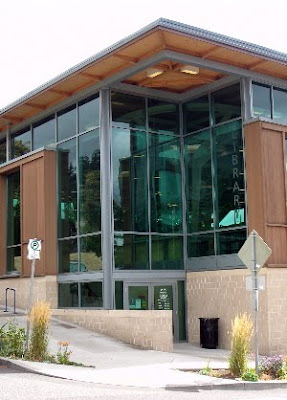 Hillsdale customers have access to Multnomah County Library's system-wide catalog of two million books and other library materials. The Multnomah County Library is the best library system in the world! Multnomah Days: The neighborhood celebrates "Multnomah Days" with a festive parade and street festival each August. Featuring a pancake breakfast, live music, arts and crafts festival, and activities for the whole family, this neighborhood celebration is not to be missed! Multnomah Village residents are able to complete their shopping trips in a convenient central location, as numerous stores, bakeries, coffee shops, and eateries are all located just off SW Capitol Highway. You've got quick access to banks, dry cleaners and laundromats, clothing stores, ice cream shops, a pharmacy, pet wash and vet, the post office, and a video store. One of the area's favorite stores is the Food Front Cooperative Grocery, located at 6344 SW Capitol Highway. This member-owned CoOp brings stellar produce, groceries, and supplies to Multnomah Village and Hillsdale residents. While everyone is welcome to shop at the CoOp, members have special privileges and benefits, and support their local community. Thinker Toys - 7784 SW Capitol Hwy - A great shop to get unique gifts for kids, where most everything is hands-on and shoppers are encouraged to play. They have a unique selection of intelligent games, crafts, and toys. Thinker Toys was chosen by Nickelodeon's ParentsConnect.com as Portland's Best Toy Store for 2009! Indigo Traders - 7881 SW Capitol Hwy - This gorgeous store carries traditional items from all over the Mediterranean. Their primary goal is to showcase the arts, cultures and traditions of the region in a positive, informative manner. The owners of Indigo Traders hope to be a bridge between Oregon's local culture in the west and that of the Mediterranean and Middle East. Annie Bloom's Books - 7834 SW Capitol Hwy - A neighborhood independent bookstore, Annie Bloom's carries a broad range of titles across many genres. Along with a strong fiction section, theu excel in children's, travel, current events, and cooking. You can find it all at Annie Bloom's, including magazines, CDs, and a fabulous selection of cards. And, for you bargain hunters out there, they are constantly bringing in new stacks of amazing sale books. Down to Earth Cafe - 7828 SW 35th Ave - Local fare with a Mediteranean bent, this charming family cafe is the perfect stop for a weekend brunch. This little place is consistently good, uses fresh ingredients, and has a friendly staff. They also have live music on Friday nights. Lucky Labrador Public House - 7675 SW Capitol Hwy - This local brewery is famous for bringing together dog lovers and their pooches – having the dogs running around in the summer while drinking fantastic beer has to be experienced to be believed. Founded in October, 1994, the Lab produces some of the tastiest brews in the northwest, all with a doggy theme. Outside on the back covered patio is a great place to relax and meet friends or hang out with your canine.